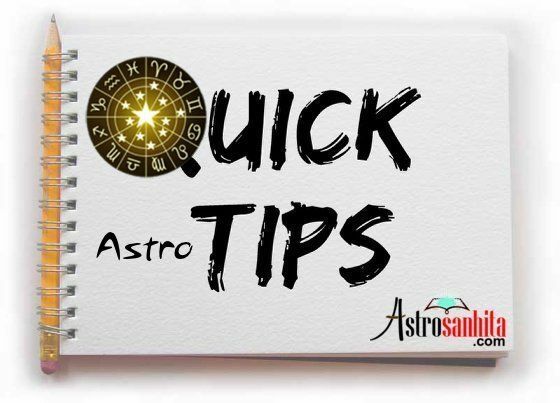 Important Astro-Tips By Dr. Sankar Bhattacharjee: Here you will get everytime short but very important Tips to learn Astrology & judge horoscope more proper way. I will only mention here what I found to be true in my findings. The combination of Saturn and Mars in horoscope creates a lot of adversities in life. If this combination is present in the 8th house or 8th house lord somehow is connected with this combination so the fatal accident is inevitable. In the 4th house, the native may need to go for critical heart surgery at least once in a lifetime. If you have Saturn and Mars combination in 4th house please stay away from smoking (everybody should), and eat very light food, take Arjun Bark related ayurvedic medicine to keep your heart strong and maintained. While judging horoscope some people do not give importance to 12th house, it is the most neglected house. But, 12th house has great importance to judge every way of life. If you are Manglik, do not worry, follow a simple rule, get married after 26 years of age (for females), and after 28 years of age (for males). Mars’s ill effects on marriage become weaker after these age groups. If this Mars is connected with any marriage related house or planet so it can give late marriage too. If Mars is retrograded in the rashi chart and connected with malefic planets or houses or somehow afflicted so in its Dasa or Antar Dasa or associated planet’s dasa or Antar Dasa will be the native’s surgery time. Some kind of surgery is destined in that period. Especially if Mars is transiting through the same sign that time. Jupiter’s influence can minimize the risk of surgery, or can cancel the surgery possibility too. In these type of situations sometimes a surgery becomes more critical due to the fault of the surgeon/ doctor. In these type of dasas or time periods, any risky surgery should be avoided. Moon is the significator of a native’s deepest or innermost need. It represents our overall habit and how we react to a particular situation which is also a subject of our subconscious & unconscious mind. If you want to know how a person reacts/ respond to a particular matter or problem so see the placement & association of moon. Moon controls our instinct and spontaneous reaction. Moon in horoscope also represents our own protection consciousness, if the moon is afflicted so the person will develop an insecurity kind of phobia, where always he will find himself unsecured and unprotected, it doesn’t matter what the real situation is. In one word moon gives us feeling of “comfort and peace”. You may have a lot of money to buy all expensive things but may not have these two, without which life is fully “lifeless”. The sun represents our life force and a conscious – matured mind in Astrology. As it is the life force so it gives us the strength and will to live with the finest creativity. If you want to see any native’s life purpose, so see where ‪Sun‬ is sitting, because that will show his/her life’s purpose in overall, it gives us the sense of individuality & pride. Sun gives death to the “child” within us and make us a real “adult” or matured. Means, the weakness of sun in the horoscope cannot give a proper shape to a native’s intellectual faculties of mind. He always does that what he should not do at a certain point of time.